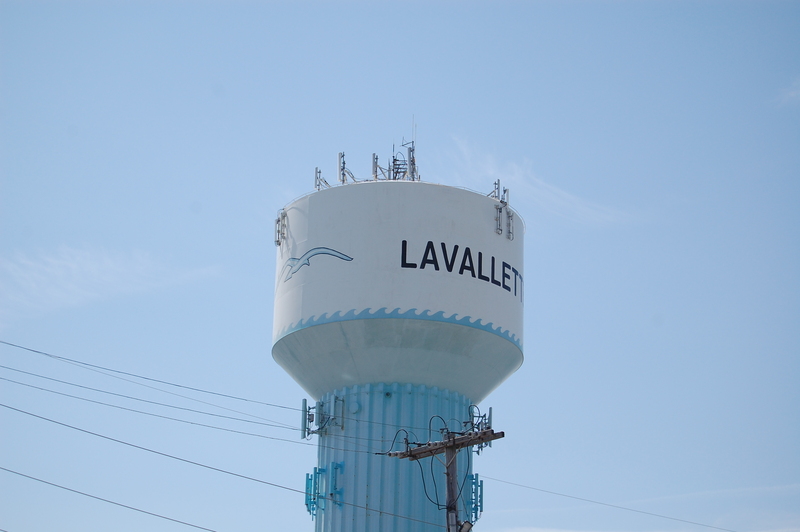 Maintenance work on Lavallette’s water tower, including a repainting of the tank, may cost as much as $1.5 million, officials said this week. The work for which the water tower is due is includes not just an exterior repainting, but a full maintenance painting of the tank’s interior, said Councilman James G. Borowski. Water towers’ exterior paint jobs are visible to passersby, but the interior coat of paint and protectant is the most important, according to engineers who work on such projects. The interior condition of the tank must be maintained to prevent issues with the physical structure of the tower, as well as the safety of the water it holds. Work to strip and repaint the tank can be lengthy. Today’s regulations also require a curtain to be installed around the entire structure to prevent chips of paint or dust from showering the neighborhood below it. Additionally, cell phone receivers and electronic equipment must be removed and temporarily placed on monopoles. Because Lavallette operates a public water-sewer utility, the borough is in the midst of applying for grant funding which would cover a significant portion of the project, officials said. According to Borough Administrator John O. Bennett, the cost of putting together the grant application package is about $25,000.